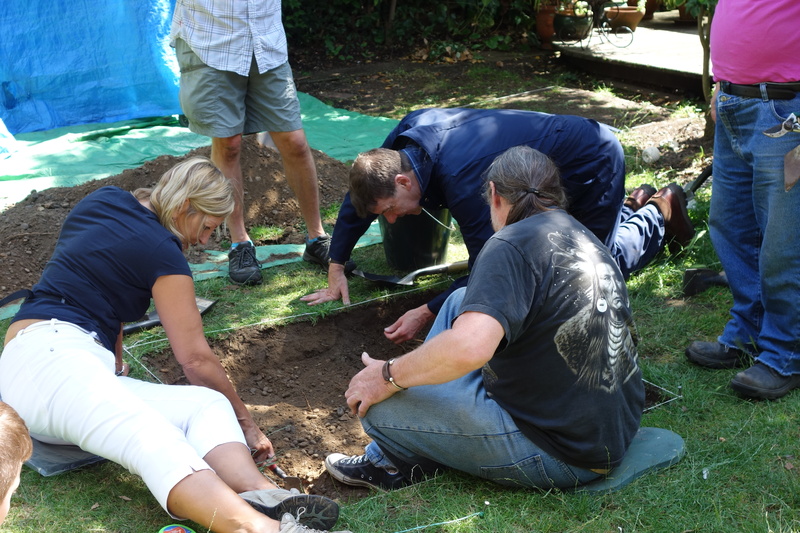 On 3 August 2013 BAHRG did an archaeological investigation of a property in The Sanctuary, looking for further evidence of the Elizabethan hall. 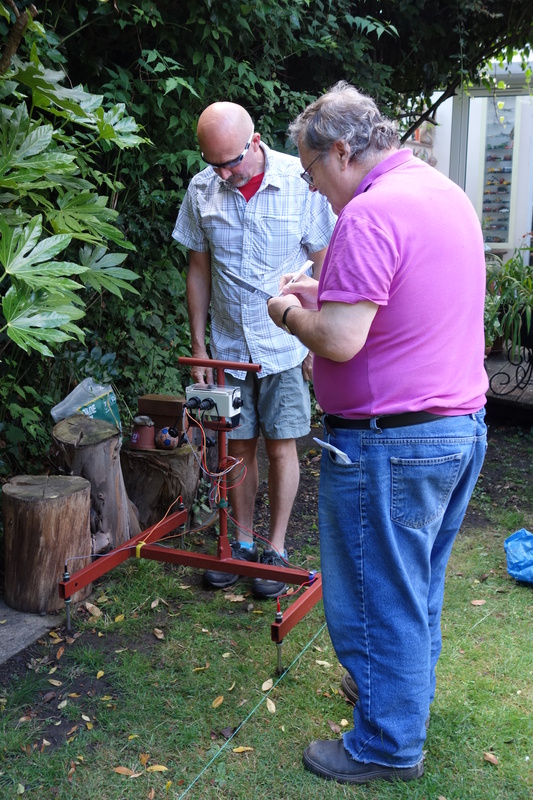 A geophysical survey was made by Geoff and Jim. 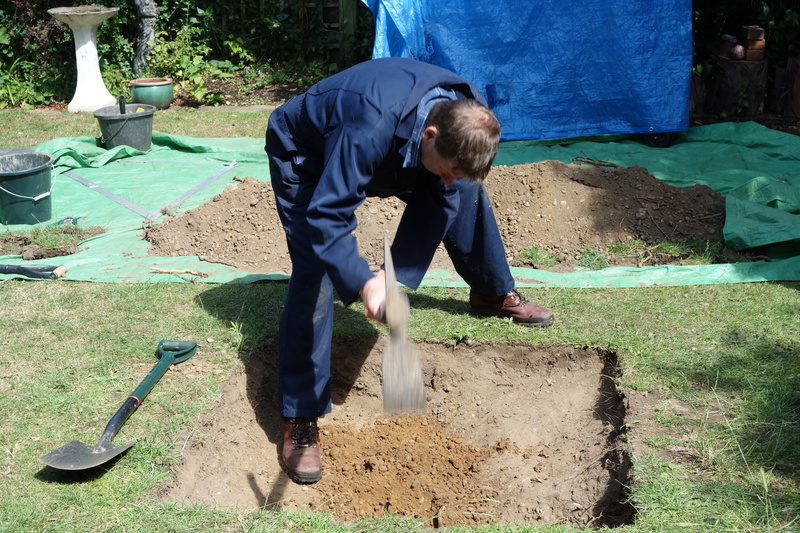 Then we got to work on our test pit. 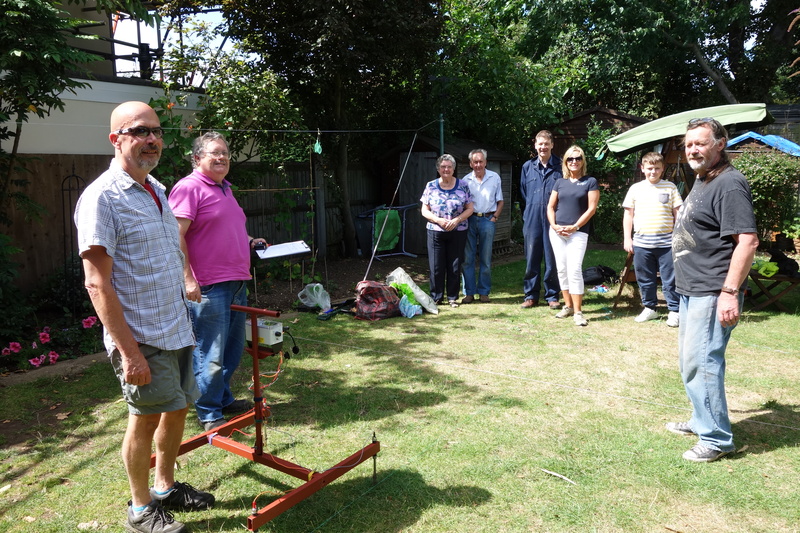 It was a lovely warm day and we were well looked after by the garden-owners.